It was just last Tuesday (December 12) when Smithereens lead Pat DiNizio died at the age of 62 but the band and Stephen Van Zandt have already organized a tribute concert. The January 13 show at the Count Basie Theatre in Red Bank, NJ was already on the books as a Little Steven's Underground Garage show with the Smithereens and Patty Smyth and Scandal but the title has now been changed to "Time and Time Again: A Celebration of the Life of Pat DiNizio". Last week, we lost one of New Jersey’s kindest and mightiest musical icons. To many, Pat DiNizio wasn’t just a consummate performer, singer, songwriter and front man of The Smithereens -- he was a son, a father, a bandmate and a friend. Days earlier, the Count Basie Theatre and E-Street Band guitarist / Rock and Roll Hall Of Famer Steven Van Zandt had announced a first-of-its-kind Smithereens performance to roll out the Basie’s new, open-floor club concert configuration – an atmosphere tailor-fit for a memorable night of rock. In that vein, the show will go on. 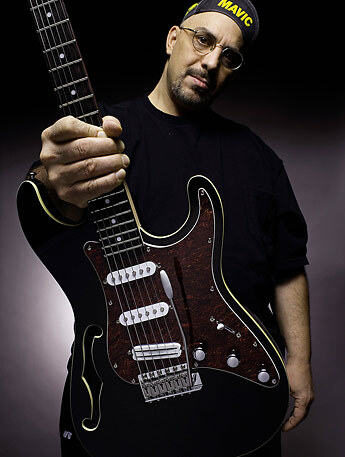 A portion of ticket sales will go towards the establishment of the PAT DiNIZIO MUSICAL PERFORMANCE SCHOLARSHIP at the Basie’s Performing Arts Academy. The Basie Academy is home to rock, vocal, jazz and classical music programs.